Continuing the ongoing series of interviews with creative artists working on various aspects of movie and TV productions, it is my pleasure to welcome Amanda McArthur. As a production designer, she splits her time between the worlds of film, theatre and commercials. In this interview Amanda talks about starting out in the industry and how things evolved over the years, differences between doing production design for film and stage, various aspects of working on commercials, what makes people stay in the field and what makes people leave. The second half of the interview is about her work on “Miss You Already”, a touching story about lifelong friendship between two women played by Toni Collette and Drew Barrymore, and how that friendship is put to the test as one falls ill and the other starts a family. Amanda: I grew up in New Zealand, the daughter of a sculptor and an accountant. And I figure I am something in between. My job involves creating spaces in three dimensions and bringing it in on budget. My mother was a creative force and our home and garden were always full of life, beauty and wonder. Creations would be rising out of lumps of clay, wood or resin on our kitchen bench and finding their way out into the world. My Dad had a workshop under the house. So I guess I have always been surrounded by possibilities. I grew up partly in the country with three boys having adventures, there was always a mystery to explore, an old abandoned house, a Victorian rubbish dump filled with treasure, a maori burial site, making rafts, eeling and finding the best swimming holes in the river. I read a lot and this fed into these adventures, we would create our own stories and legends. So I guess it was inevitable I would be attracted to bringing stories to life. 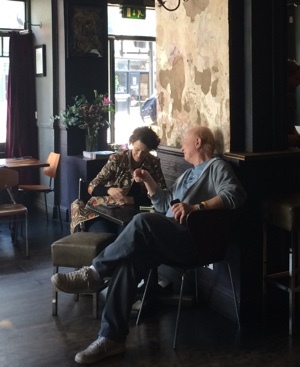 Collaborating with a director and finding a visual language for a story is a thrilling thing. Kirill: What drew you into the industry, and how those expectations compared to the reality of being in the industry? Amanda: I remember as a child sitting in a cool, dark cinema on a hot day watching a re-run of “Chitty, Chitty, Bang, Bang” and being captivated – the real world on the screen but magical. But my teachers at school were pushing me to be a scientist. I think the movie that changed it all for me was “Blade Runner” – the possibility of another world so beautifully realized blew me away. You always have pictures swirling in your head when you read any story and this made me realize that those pictures can become tangible. I knew what I wanted to do. There was no training for film design in New Zealand at the time so I trained as an agency art director. A holiday job in a theatre troupe putting on a big summer spectacular was the springboard I had been looking for. And I threw myself into fringe and then mainstream theatre with abandon and did well. Downstage theatre took me on as a trainee and a new post-graduate course at University in theatre design followed. I was the guinea pig, the only student, having my lectures alone. It was a very exciting time, lots of great new writing. In the theatre you do costume as well. It was a time of experimentation, and learning lots of different skills. I find now that all the best crew I have, have come up through the theatre. It’s incredibly hard work with a few moments of glamour and I find that theatre people have a strong imaginative backbone. The only difficult thing was being so young and a girl. Sexism in the set building trade at that time was rife and I really had to earn my right of passage with the old construction managers. I won a few awards and then got a grant from the NZ and British arts councils to travel and study in England, at the National theatre and the Royal exchange in Manchester. I still really wanted to get into TV and film so I knocked on lots of doors and ended up at Granada TV and then the BBC. A student film I designed at the NFTS (set in an imaginary world) got me into commercials because a director wanted that look. 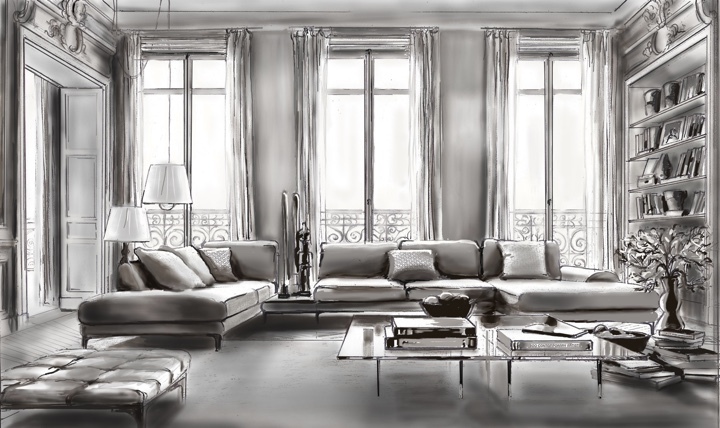 Visual sketch for the apartment in “Piccadilly Jim”, courtesy of Amanda McArthur. Kirill: How would you compare designing a set for film and stage? How do you guide the viewer’s eye to where you want it to go in a stage production? Amanda: I think working in theatre, film and commercials all feed into each other with ideas and especially materials bouncing around and reforming. Theatre design is obviously very different from film. It’s a more abstract medium. Good theatre design is a simple bold idea that echoes the themes in the script and a bit of visual magic that can retain the audience’s interest throughout an act. The audience is looking at the wide shot for a long time. 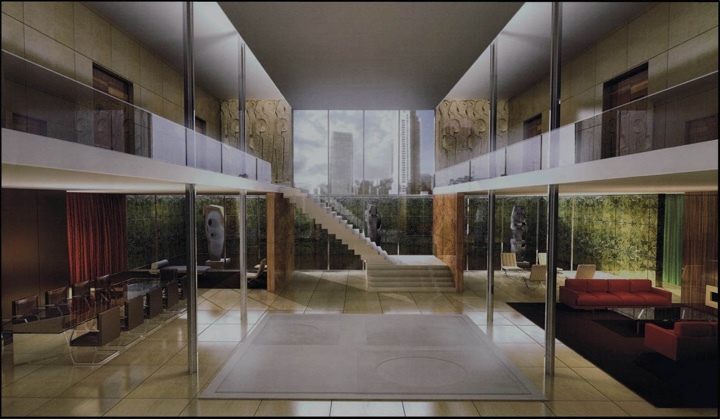 You focus their eye on what you want by lighting and using set pieces to narrow or widen the view. Whereas in film you pause on the wide shot momentarily and then you move on to the close-ups or into a new scene. Film is more realistic and even if the world you are creating is totally fictional or futuristic it has to be totally believable. You set up these rules for the audience to follow and they believe you. You can’t throw something in that will jar their belief. There are so many more sets in a film than a theatre production. I love the luxury in the theatre to work with the lighting designer for the whole of the rehearsal period to create a harmony between the set and the lighting. Often in film it’s a rush, the cameraman comes late into the process after many things are decided and locations have been chosen. Kirill: Do you find that there are some types of stories that lend themselves better to be told in one medium (film or stage) than the other? Amanda: Stories in film are told in action, and reaction. It’s a visual medium, short scenes where the ideas and dialogue are distilled right down to their essence, external forces driving the story forward. Something happens to the main character and that person responds. What they do starts the character on their journey. A play is the opposite, an issue or relationship unfolds slowly through in depth conversations of the characters and a broader narrative. Visual sketch for Audi commercial, courtesy of Amanda McArthur. Visual sketch for Philadelphia commercial, courtesy of Amanda McArthur. Kirill: How is the pace of a typical job on a commercial? How many people do you typically have working with you in the art department? Amanda: Commercials vary so much in length. It’s quite normal to do 15-25 days, shooting for a week. They start with a producer sending a script. You come up with a budget and talk through the way you are going to approach the job. This is often at the directors pitch stage. Then as the job is confirmed you bring on your team, prop buyer construction and prop makers. They most often shoot a series of commercials in a campaign and then roll then out. The team sizes vary from 4 to 20 or more depending whether you are on location or studio and how much there is to do. I tend to work with the same people. I have two art directors I have worked with for a long time, this makes our work flexible, elastic and really efficient because we know each other so well. There are so many new venues for commercial clips, from TV to YouTube pre-roll to ads in social media streams to inserts inside mobile games. Building the forest set for Timotei commercial, courtesy of Amanda McArthur. 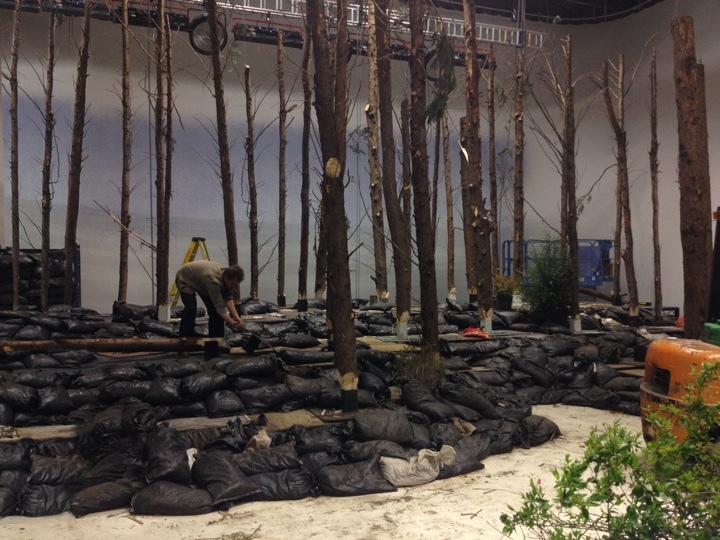 Fully built forest set for Timotei commercial, courtesy of Amanda McArthur. 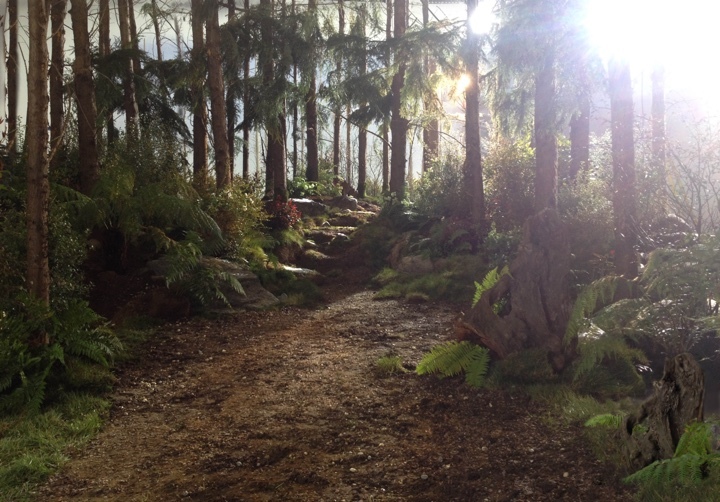 Final still of the forest set for Timotei commercial, courtesy of Amanda McArthur. Kirill: Do you see any changes in what your clients are expecting from your work in that area? Amanda: What is happening now is really interesting, clients are making long format films (2-5 minutes long) that tell a story and they show them online. Then they make 10-30 sec versions out of these to use as TV commercials. This is exciting for a designer as the ideas are bigger and freer. Kirill: Transitioning to your work in film and looking back at the last decade or so, what do you think makes people stay in the field and what makes people leave? Amanda: I think people have to be passionate about the job. A lot of people start in the art department with an unrealistic idea of what it’s all about and are not prepared for the long hours and the repetition of some aspects of the work. Most films have 50 plus sets. That’s a lot of props, dressing, building, painting and repainting, graphics, vehicles, animals, visual effects coming and going from locations and studios – your crew has to make that happen. It’s important to get the right balance in your crew. It’s all about a positive attitude and being a team player, supportive and fun because sometimes it’s a long slog. Crews on film can find the work-family balance difficult. You have to have an understanding partner, you’re away from home for long periods of time. There are always people on set Skyping their kids. Also the freelance world is unpredictable and if you want certainty and a regular weekly pay packet, this is not the job for you. Chemo ward visual sketch for “Miss You Already”, courtesy of Amanda McArthur. Kirill: What kinds of changes do you see in the art department in the last few years that digital has taken over all parts of the process (shooting, intermediate, post-process, exhibition)? Have these changes had any effect on what you do and your process? Amanda: The use of green screen and blue screen has been around for a long time now and I think all designers and directors use it as a normal part of their work. Whenever you start a job there is always a discussion about how much will be CGI and how much will be physical builds. It mostly comes down to cost. Some things are cheaper to create in the flesh. I like to be involved at all stages. I do all or my own drawings unless there is just to too many to do in the time available. On ‘Neverland’ I was locked in a room for months with two conceptual artists doing all the drawings for the post- production guys in Canada. There were 2,500 CGI shots and the director Nic Willing wanted to lock down exactly how our world was going to look. This gives a continuity of style and helps with the cost. I love painting and drawing in all mediums and now use the computer a lot. Visual sketch for Fludd’s City in “Neverland”, courtesy of Amanda McArthur. Kirill: Was there anything different in the structure of your work on “Neverland”, or was it more of a longer production split into two parts as the mini-series format? Amanda: It was like doing two movies back to back. We were shooting in Ireland and all the studios were full, so we ended up in these huge cold storage spaces just out of Dublin. We pretty much built everything in those spaces apart from an Indian village in the woods. We costed building the pirate ship but in the end we went to Italy for the exteriors and built the interiors. Sometimes we just built the floors and props in the room and used CGI to do the walls. A lot of it came down to cost. Ireland is expensive to build in, and if it cost too much, we had to go with CGI. Kirill: Moving to “Miss You Already”, how did your involvement with that project start? How much time did you have in pre-production to discuss the story and define the finer details of the world? Amanda: I had just come off of another film and a friend, a line producer, told me this film was starting. I went along and met Catherine (Hardwicke) and we just hit it off. I pretty much started straight away. We had seven and a half full-on prep weeks – with recces most nights. 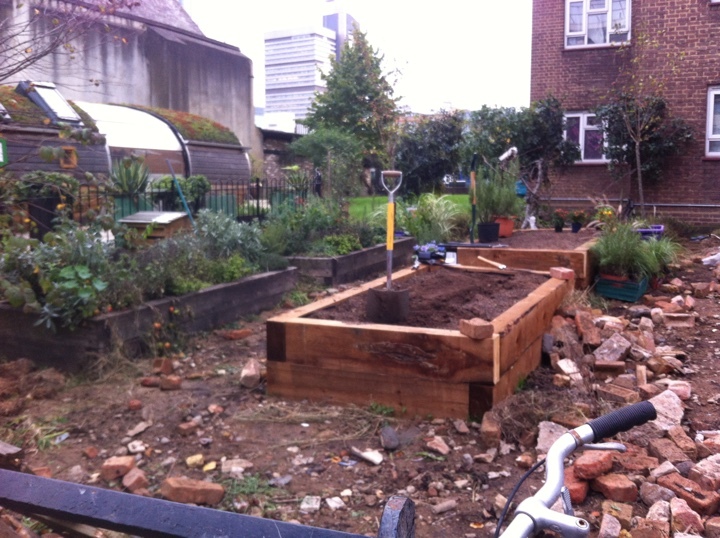 We wanted a particular London look – colourful, modern, cool, stylish. London as you hadn’t seen it before. So we must have looked at every bar and restaurant in London and settled in East London and Shoreditch. The budget was incredibly tight and I trimmed the art department crew to an absolute minimum so we could use the money on screen. The last two weeks of the shoot we took up residence in a group of empty buildings in the countryside. There were a lot of short scenes in the script and the schedule didn’t allow time to move the shooting crew around London and shot all the scenes needed. So logistically it was the best solution for the art department to created them. We built an endless number of sets from different eras – schools, hospitals, oil rig rooms, a B&B on the Yorkshire moors to an eighteen century garden. The garden set on “Miss You Already”, courtesy of Amanda McArthur. Final still of the garden set on “Miss You Already”. Kirill: Are there any differences for you to be working on a contemporary-set production? Is every production a period one for you? Amanda: Each job is different but they all require research, not only into different time periods, different characters but also different materials and ways of doing things. In the real world (I have done restaurants, shops and houses) it takes time and sometimes a lot of money to create objects or spaces. That is a luxury we often don’t have in the film industry. No matter how big your budget is, the ambitions are always bigger and it’s never enough. I want my directors and writers to realize their dreams, so one of the exciting things for me is coming up with creative solutions to these hurdles. You look all the way around the problem, backwards and upside. This often has to happen very quickly. It is easier if it’s modern day because the locations and props exist but then it’s rare to find exactly what is right for the character or the story. We are very lucky in the UK to have such a huge range of architecture from different periods with so many beautiful old buildings and spaces for filming. 1980’s classroom set on “Miss You Already”, courtesy of Amanda McArthur. 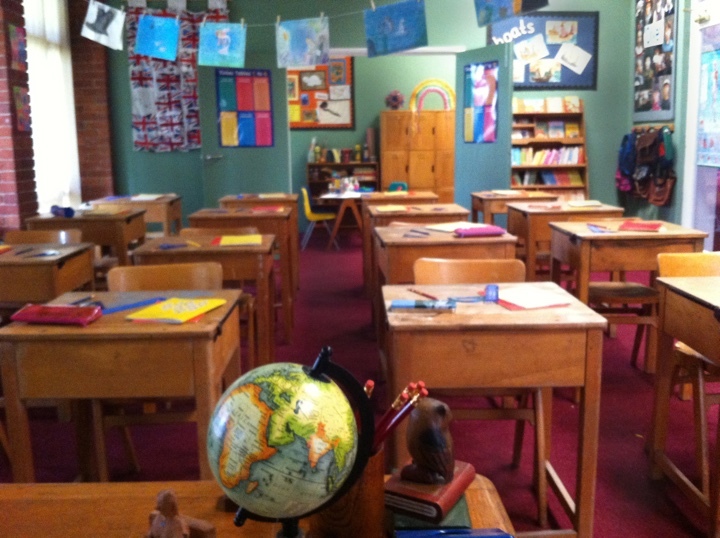 Final still of the 1980’s classroom set on “Miss You Already”. Kirill: If you were to ask me twenty years ago how a movie is made, I’d say that you put actors in a room, point a camera at them and start rolling. On a production such as “Miss You Already”, how much “design” is in your role as the production designer? Amanda: A huge amount. In that film everything was thought about and considered, even down to the toiletries in their bathroom. It’s all about what sort of things would the character have and what does it say about them. We were after a very specific modern look. 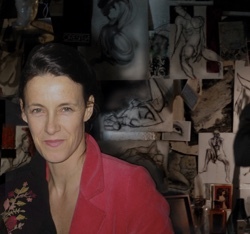 Catherine used to be a production designer and she loves the art department. She had a clear vision of what kind of film she wanted. Other directors I have worked with focus more on the actors and leave the visual side to you. On all films you set a style and a colour scheme and you stick to it. Sometimes this can be very rigid. On one film I did – “Penelope” – we wanted a modern fairytale look, so I did a twisted version of Victoriana and everything had to be made or changed to fit that style. It can be a prop or a whole street. Kirill: What’s your overall preference between doing location sets and building sets on stage? What gives you more freedom or control? Amanda: They both have their advantages and disadvantages. 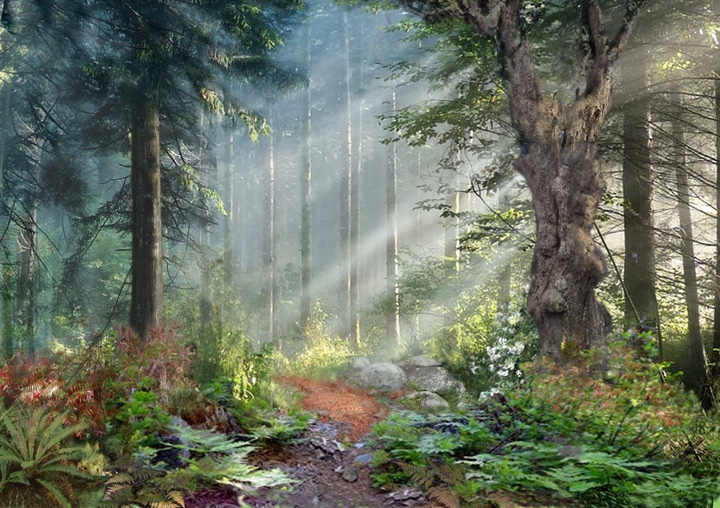 There is something in a location that adds huge weight and depth to a scene. It’s the years of use, the small nicks or the worn patches, things that are almost intangible. But most locations are the wrong colour – normally too white, or on the wrong floor, or the wrong size. To create a set from scratch gives you huge freedom to design and light as you want. They are also much easier for crews and cameras to work in. 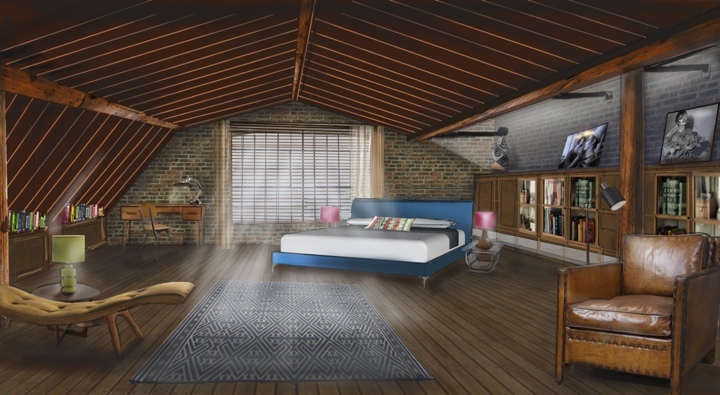 Visual sketch of Milly’s bedroom on “Miss You Already”, courtesy of Amanda McArthur. Final still of Milly’s bedroom set on “Miss You Already”. Kirill: What was your daily routine on this production? How much time can you spend on the set they are shooting, and how much time do you spend on the next ones? Amanda: I always see a set in, to make sure the director, actors and cameraman are happy. Then I and my dressing crew move on to the next sets. I work with a very experienced stand-by art director who knows me well and he stays on set with the shooting crew. We work differently from other art departments in that he comes on early and is involved in all aspects of the prep so there is a smooth transition to the shooting crew. Everyone is in the loop, this is really important if you are away on other sets. What is great about working in a studio set-up or the campus like we had on “Miss You Already” is you are around. Kirill: What was your favourite set, how much time you’ve spent on it, and how do you “say goodbye” to your sets? Amanda: My favourite set was the huge attic room in “Penelope”. The character had been locked in this room for her whole life and made everything herself. 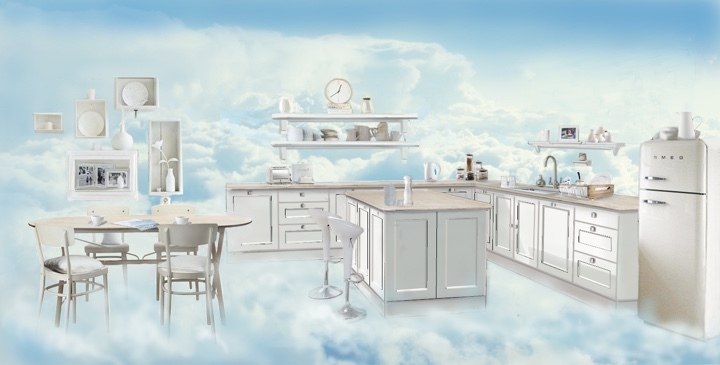 It was a world in a room – Penelope’s vision of what the world outside looked like. I and my team spent a lot of time collecting and making everything, it was to be as magical as possible. It’s hard to say goodbye to a set you love. In the theatre they are up for a run but in film they’re gone in a flash. Taking photos helps. 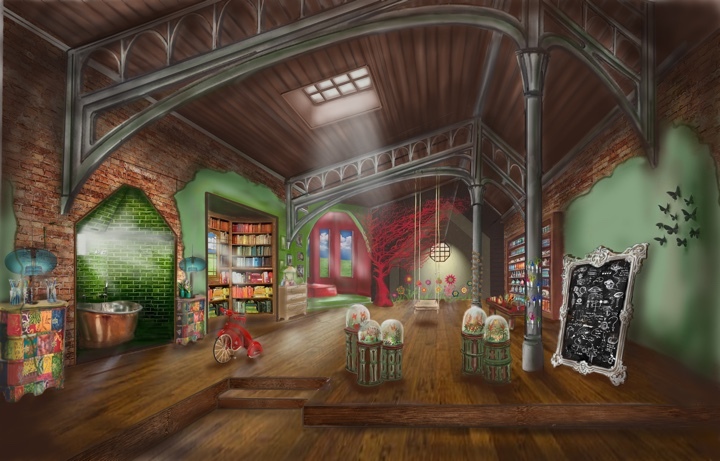 Visual sketch of Penelope’s bedroom, courtesy of Amanda McArthur. Final still of Penelope’s bedroom, courtesy of Amanda McArthur. Kirill: What stays with you after a production is done and a few years have passed? Do you remember the good parts, or the bad parts? Amanda: Rose tinted glasses and all that, you definitely remember the good. Working on a film is like working with a huge temporary family, some good, some difficult. You all get very close and are in each other’s pockets all day. But then it finishes, everyone leaves and you may never see those people again. So what remains is the fun you had and the vision you created. Kirill: As you sit in a theater to watch the final cut of a movie you’ve worked on, can you get into the story or do you look at the particular details of what you did on each set? Amanda: You hope that the story will carry you away and that you won’t notice that that chair was in the wrong place. Your job has been done if the audience doesn’t notice your work. Design should reinforce the story and expands the characters without hitting the audience over the head. It is part of your job to keep evolving and so it’s inevitable that you notice things that you could have done differently. Kirill: What about watching movies that you didn’t work on? Do you still keep an eye on those technical details? Amanda: I think you are always interested in what other sets look like. It really excites me to see great art direction. But watching a movie, if you are noticing the design a lot then probably the performances or the story are not as good as they should be. Kirill: How important is it for you to surround your actors with physical sets? 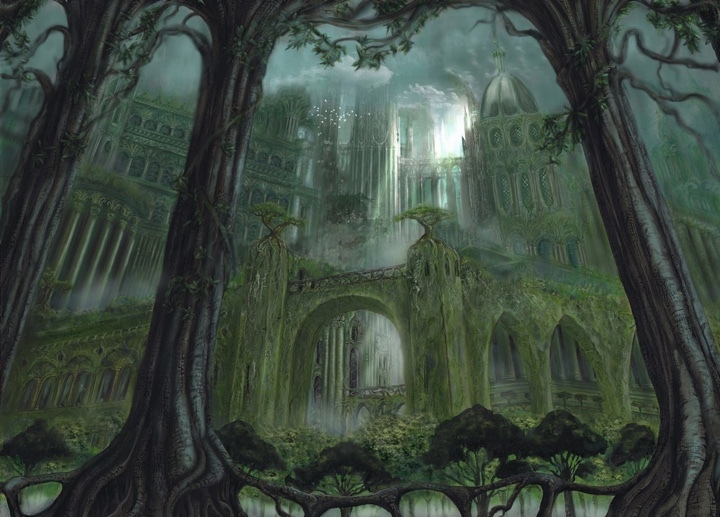 What are your thoughts on green-screen environments and digital set extensions? Amanda: Actors love to come onto a dressed set, it helps enormously with their characters. I have seen it so many times. It gives me great pleasure to see them walk around their spaces, to touch their props and rehearse in their environments. I think it takes a lot of skill for an actor to pull off real emotion in a purely green scene environment. It’s tough. And here I’d like to thank Amanda McArthur for graciously agreeing to share her time with me to talk about the art and craft of production design, her work on the delightfully touching of “Miss You Already” franchise, and for sharing the background materials for the interview. If you’re interested in stories on how films and TV shows are made, click here for more in-depth interviews.